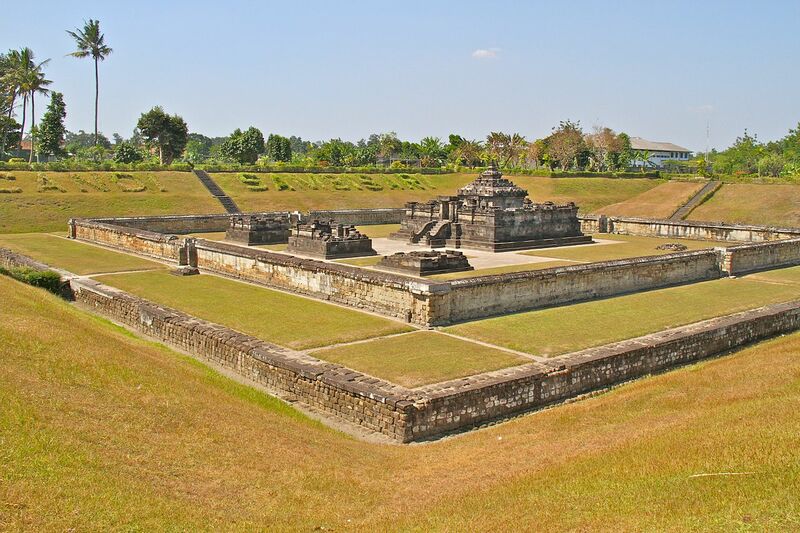 Many of the world’s most important archaeological sites have been found in Indonesia. 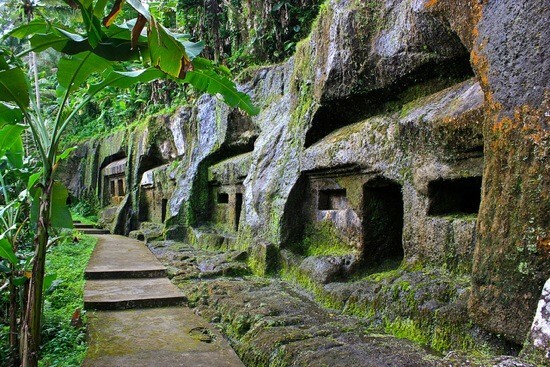 Java man, Flores (Hobbit) man, Borobudur, Prambanan and many other discoveries have drawn explorers from near and far. 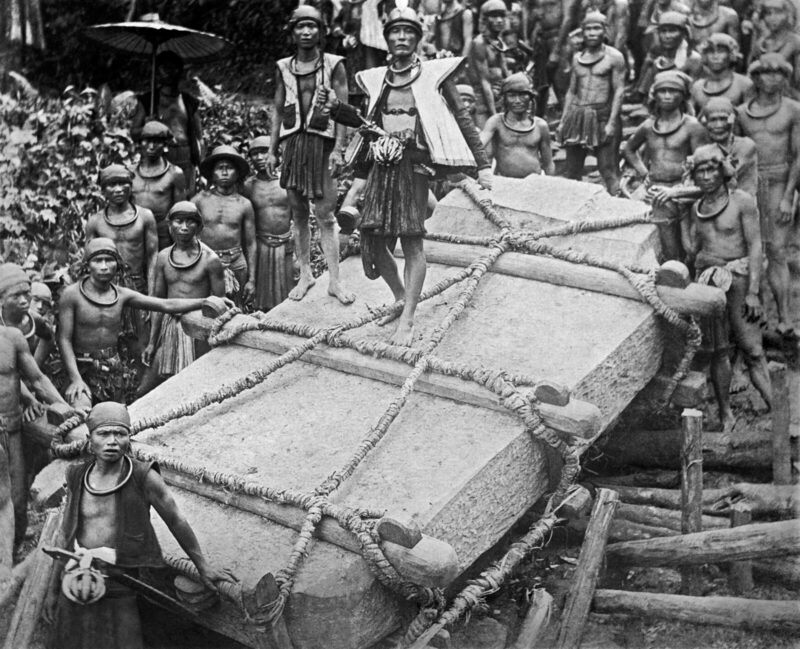 Much more ancient history is unfolding across Indonesia today. 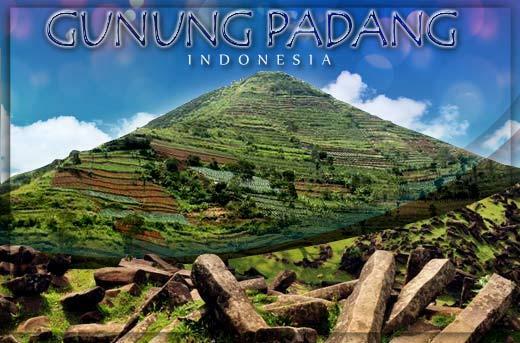 Gunung (mountain) Padang is a megalithic site located in Karyamukti village in the West Java Province. It’s about 50 km southwest of the city of Cianjur. 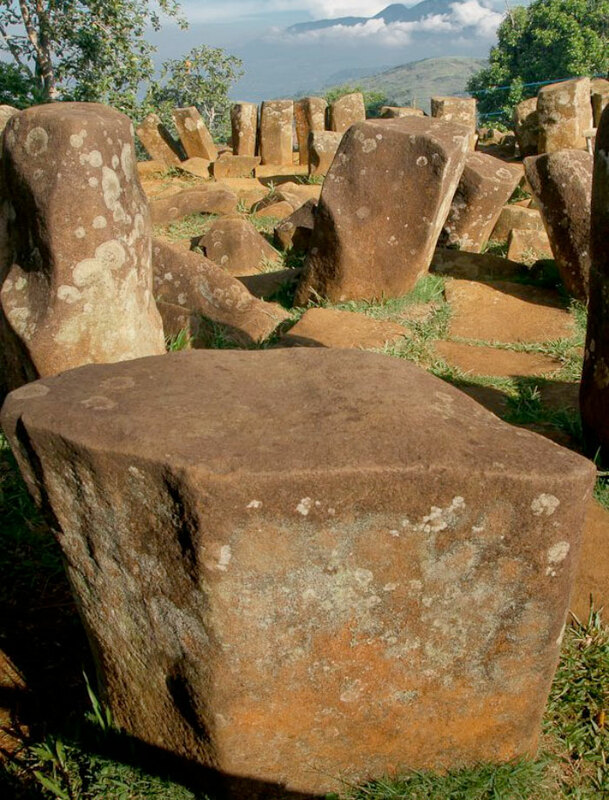 Some are calling it the largest megalithic site in all of Southeast Asia. The massive Indonesian site was put on the international map in the publication Rapporten van de Oudheidkundige Dienst (Report of the Department of Antiquities) in 1914. Dutch historian N. J. Krom also mentioned it in 1949. Employees of the National Archeology Research Centre studied the site in 1979. The site in West Java covers a hill in a series of terraces bordered by retaining walls of stone that are reached by about 400 andesite steps. 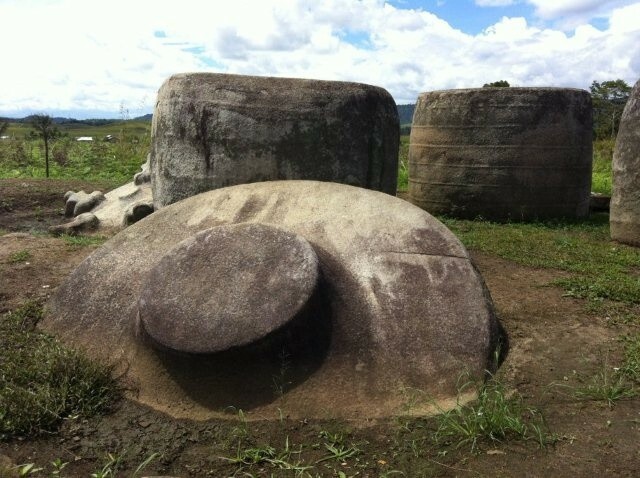 It is covered with massive rectangular stones. The site area is approximately 25 hectares. The massive Borobudur temple occupies only 1.5 hectares. Walls of the terraces are similar to those found at Machu Picchu in Peru. Dr. Danny Hilman is responsible for the archaeological team on the site. They also announced the discovery of a metal device that is presumed to be the worlds oldest electrical instrument. According to researchers, this object is made out of gold and copper and seems to resemble a primitive capacitor. The discovery of the electrical device at Gunung Padang is getting a lot of attention. Former President Susilo Bambang Yudhoyono of Indonesia visited the site and congratulated the researchers. According to archaeologists, the subsurface layers at Gunung Padang might be more than 12,000 years old. Finding an electrical device in that area suggests that ancient man mastered electricity thousands of years ago. 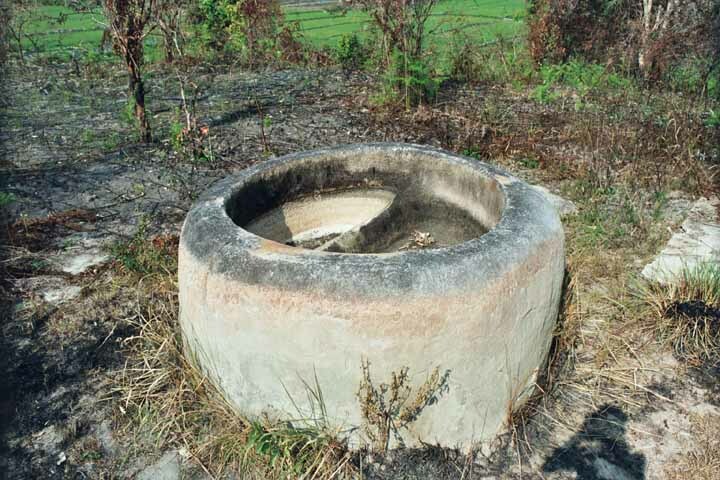 Previously, the researchers found giant bowls, rivers and springs, domes, towers, aquifers and a transmitter. Magnetic anomalies are found in these locations. 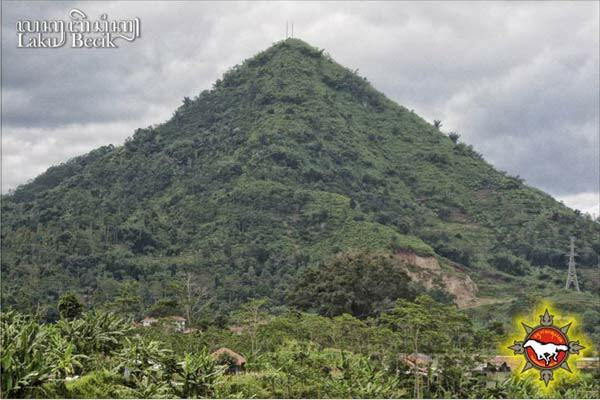 Mount Sadahurip is another pyramid shaped hill in West Java, near Cicapar Sand Village. 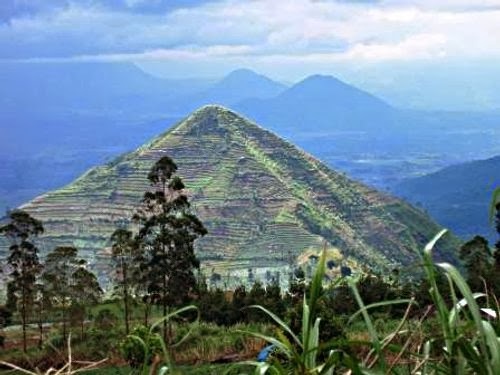 Mount Sadahurip, dubbed the Garut Pyramid, is undergoing verification tests to see if the mount is indeed a man-made (or partially man-made) structure. 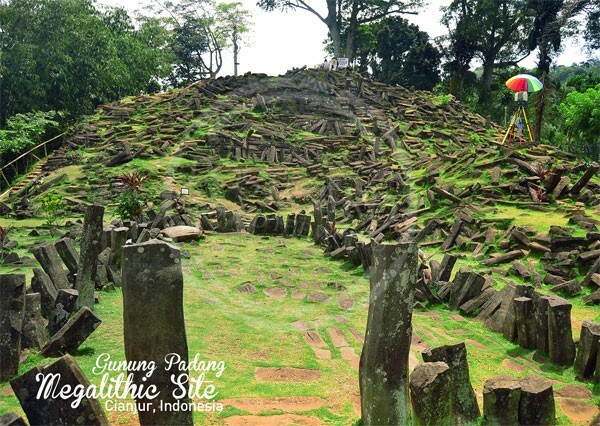 The Garut Pyramid is larger than the Great Pyramid of Giza and could be far older. By using geo-electric instruments, surveyors are measuring the resistance of the geological layers, while seeking additional funding to begin excavations. An initial survey determined that the structure is unlikely to be of natural formation. 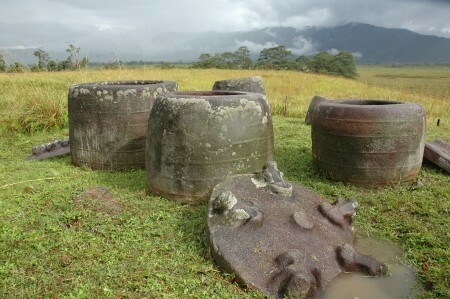 Bada Valley, Sulawesi features several megaliths throughout a remote area in the Poso Regency on the island of Sulawesi. It is part of Lore Lindu National Park. 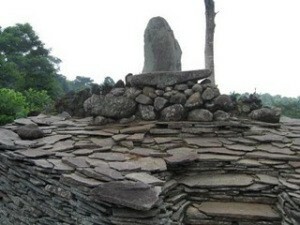 Bada Valley features dozens of ancient megaliths and several large stone caldrons. The objects remain a mystery. 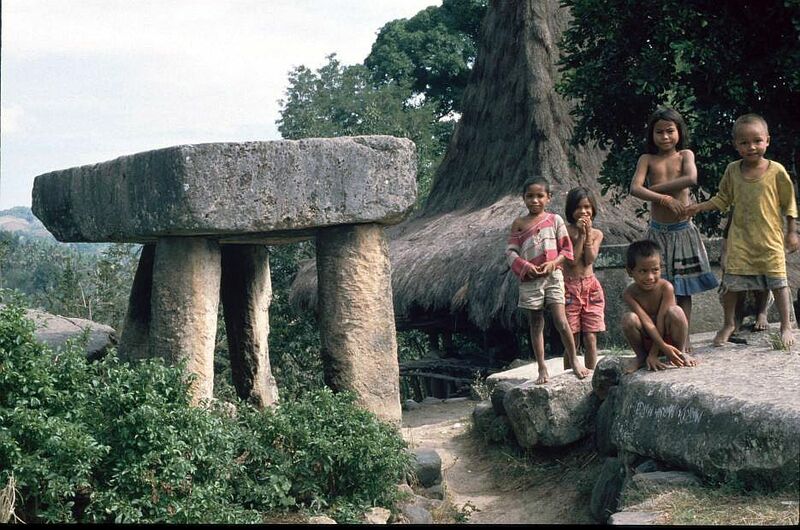 The carved megaliths are between 1,000-5,000 years old. They’re scattered across the valley. When asked about the origin of these statues, locals explain that they’ve always been here. Some believe they were used in ancestral worship or may have had something to do with human sacrifice. Others believe that these statues ward off evil spirits. 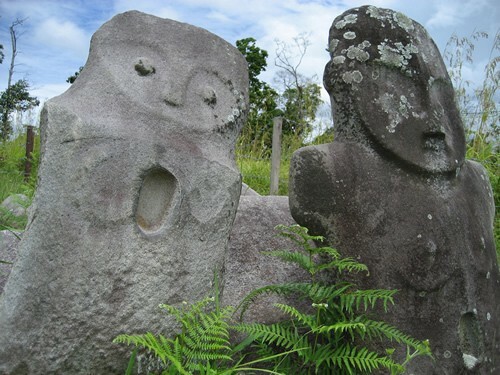 One legend tells that they are criminals which were turned to stone, and there is even a superstition that the statues can disappear or move from place to place. Some have even been reported found in slightly different locations. 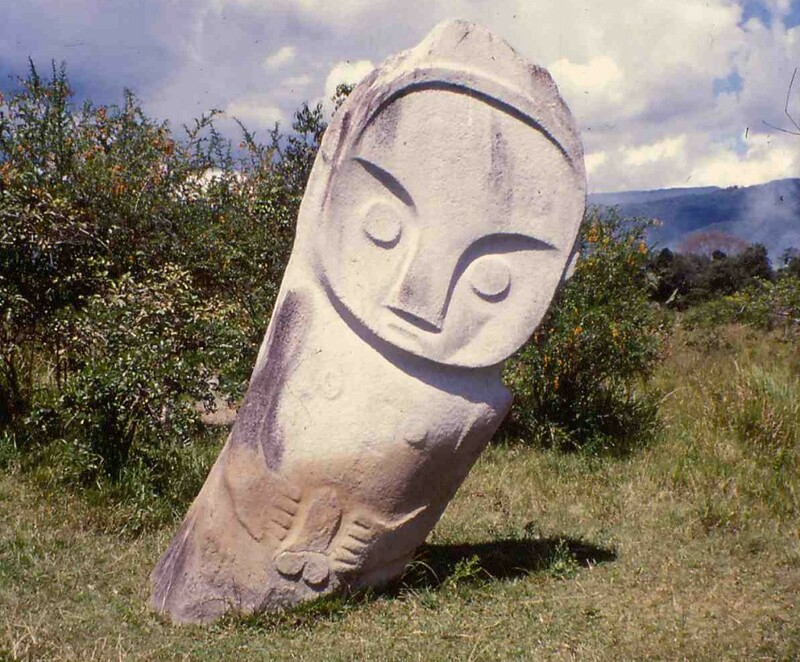 These statues are made from a type of stone not found anywhere near the area. 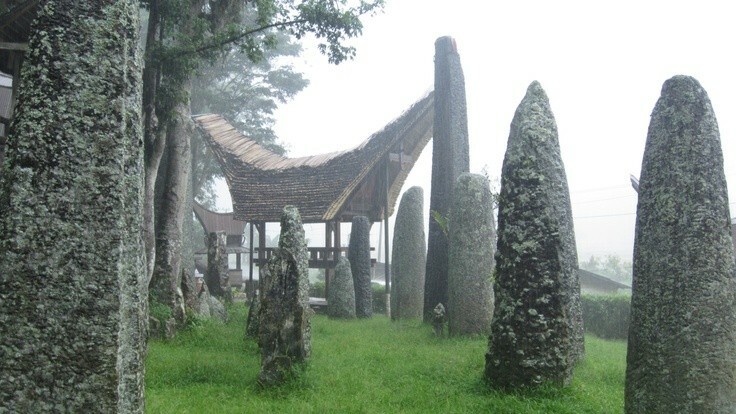 Tanah Toraja, Sulawesi. 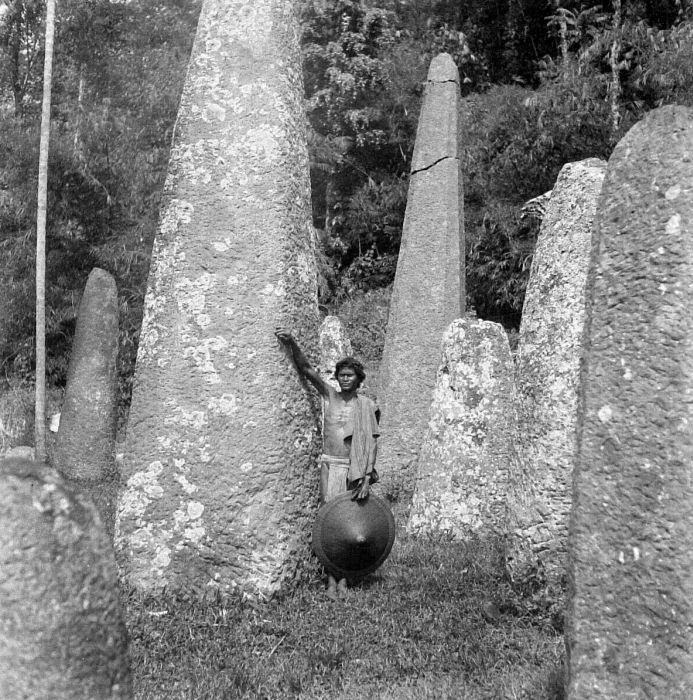 More monoliths are found throughout Toraja land and lives. 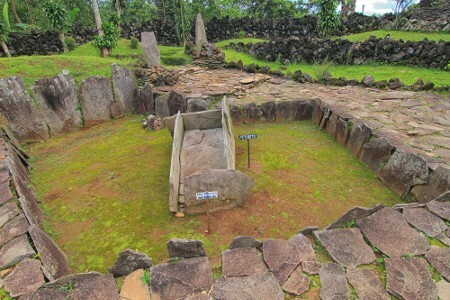 Cipari, Java is a Neolithic settlement in the Kuningan district of West Java, northeast of Bogor. Megalithic formations are found here. They are dated at around 1000 BCE. Pyramid Lalakon, West Java. Much work remains, but it fits the profile of similar-shaped mounds in the region. 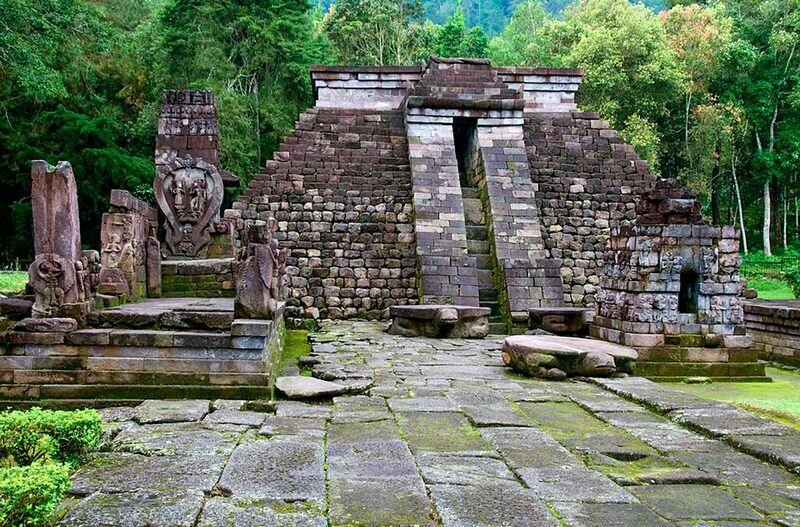 Candi Sukuh, West Java resembles Mayan-style temples. 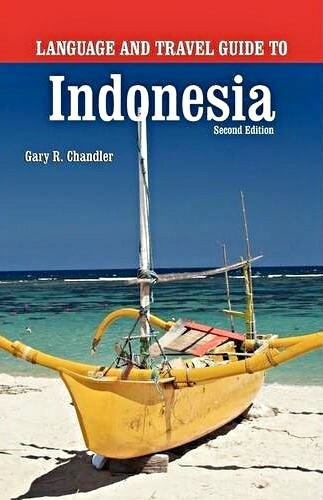 Indonesia is best known for its famous and elegant temples, including Borobudur, Tanah Lot, Uluwatu and many others. However, these emerging and lesser-known gems are worth the trip. 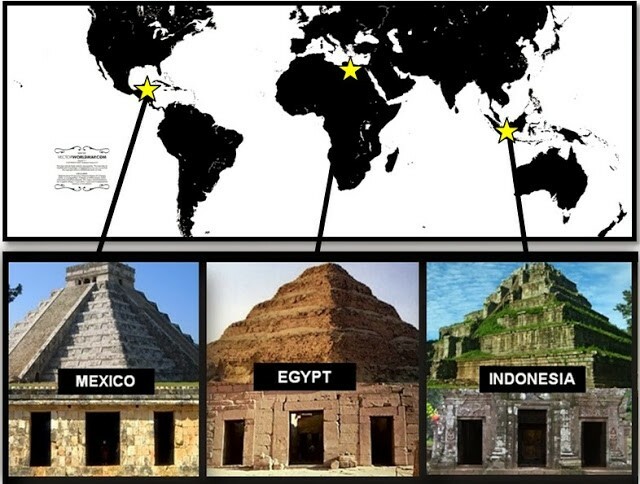 As a fan of Ancient Aliens and ancient arts and culture, this is a topic that I love. If you have stories and photos to share, please contact me.